I cannot wait for 2018! I do not have any big plans for the new year, nevertheless I am always exciting for another chance at a fresh start. Another opportunity to hit reset and regroup. I am writing this post way late into the night (23:00) so will keep it short and leave you guys with a rather functional outfit post today. 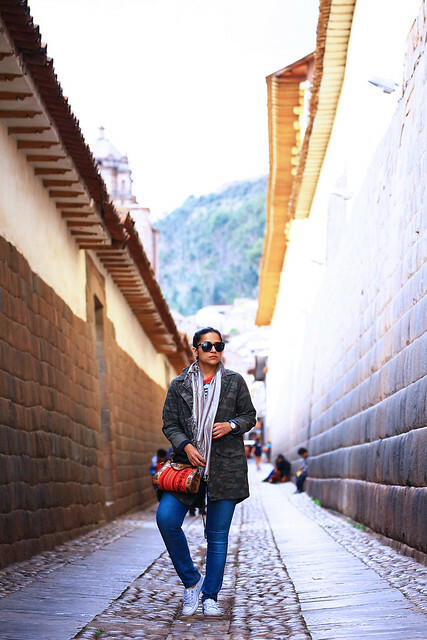 This is what I wore a few weeks back while exploring Cusco, Peru. It was a pleasant but chilly day and my new camo jacket was the highlight of the look. I would love to wear an outfit like this while traveling. You look so comfortable and warm! this is a super nice outfit. Quite casual! I am loving the bag. The design and the colors is great! Love the length of the camo jacket. That bag is great, too! Hope you had fun in Peru. 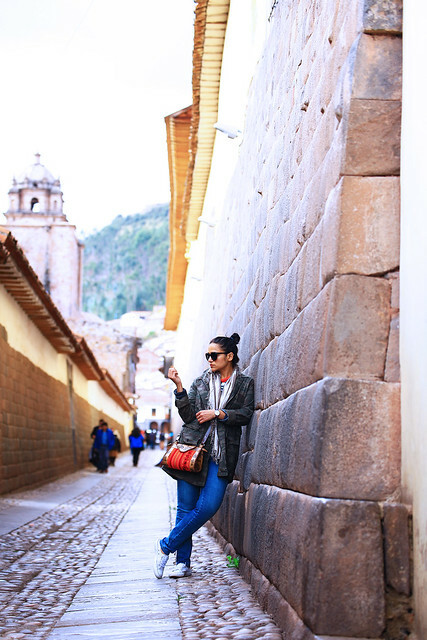 Loving the little glimpses of Peru, it looks fab! 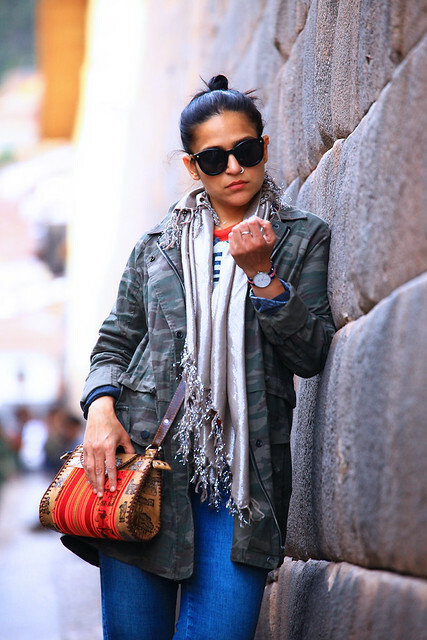 Adore your chic and casual look for exploring, a camo jacket is always so edgy! 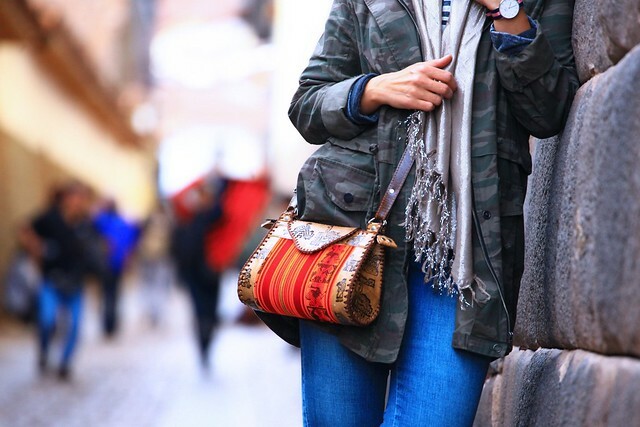 Love that you're rocking a bag from Peru too! I really adore your fashion style and you look gorgeous as always. I really like your camouflage jacket. Nice photography too! I really like your outfits this year. and your bag looks so cute and stylish, I really like it. I am looking forward to your outfit this 2018. I love how you styled this camp jacket, so cute! 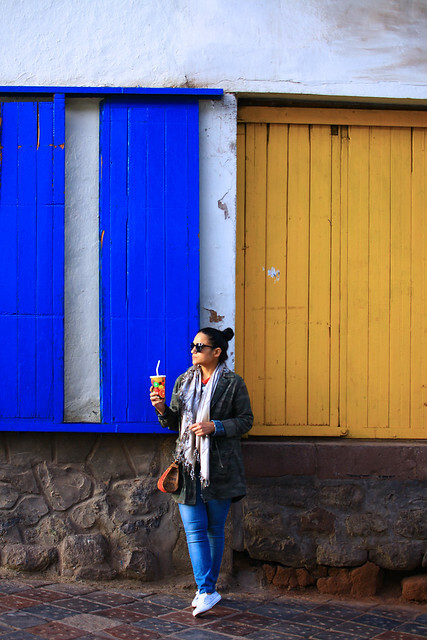 Obsessed with the rich colors in your photos. Looking forward to your next year of outfit ideas! The eccentric handbad adds such a gorgeous pop of color to the outfit..loved the jacket too! Such casual, functional looks are the ones I totally love. You bag is so beautiful. It's really not easy doing Fashion posts all year long (perhaps it's because how I hardly buy clothes) and i'm impressed with your efforts! Hope you have a gret 2018 ahead and may you achieve great heights! You stay killing it! I'm loving the camo jacket. Hey nice post. Thanks for sharing this with us.